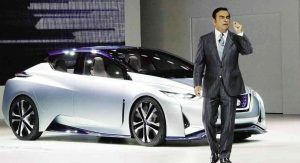 Nissan’s ex-CEO Carlos Ghosn declared his innocence in a Tokyo court, saying he was “wrongly accused” of financial misconduct in his first public appearance since his arrest last November. 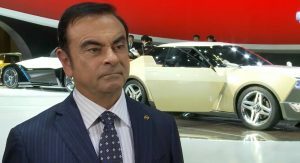 “I have been wrongly accused and unfairly detained based on meritless and unsubstantiated accusations,” Ghosn told the Tokyo District Court, according to a report from Reuters. 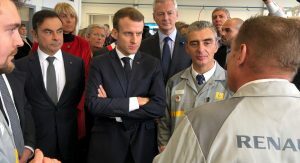 “Contrary to the accusations made by the prosecutors, I never received any compensation from Nissan that was not disclosed, nor did I ever enter into any binding contract with Nissan to be paid a fixed amount that was not disclosed,” Ghosn added. 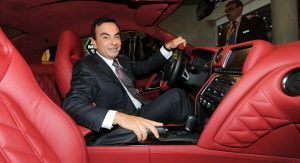 Carlos Ghosn appeared visibly thinner and handcuffed in front of the court, wearing a dark suit, a rope around his waist and plastic slippers. Nissan’s ex-CEO reportedly lost 10kg (44lbs) in weight during his 50-day detention. 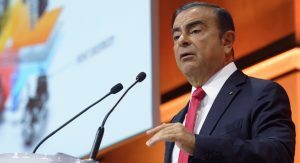 The court hearing was requested by Ghosn’s lawyers in order for the judge to explain the reasons for his prolonged detention. Presiding judge Yuichi Tada said that Ghosn is a possible flight risk and he might have tried to conceal evidence if he wasn’t detained. 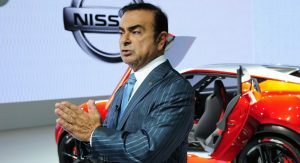 Ghosn has been formally charged with under-reporting his compensation and also been arrested, but not indicted yet, on allegations of breach of trust in shifting personal losses of around $17 million to Nissan. 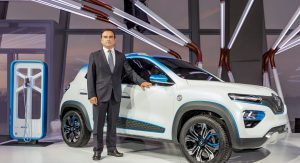 “I believe strongly that in all of my efforts on behalf of the company, I have acted honorably, legally, and with the knowledge and approval of the appropriate executives inside the company,” Ghosn said. Nissan’s ex-CEO is expected to remain in detention though his trial. 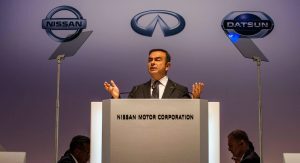 this is nothing a coup to regain control of Nissan. This is more common of business practice in Japan. However it’s the first time they’ve done it to someone this high up on the international world. 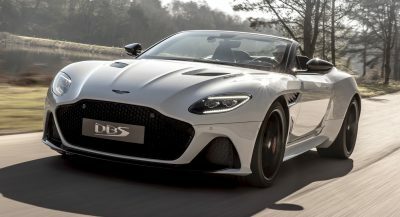 If this comes back to Nissan it will be very dark times for them. and I hope it does. I hope it does too, Not that I am a big fan of carlos but I still think he was done dirty and wrong. 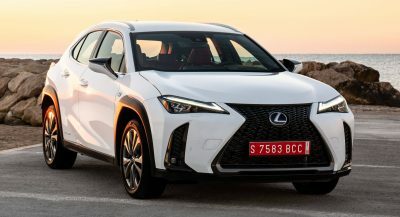 I hope Nissan cont to lose sales over this. 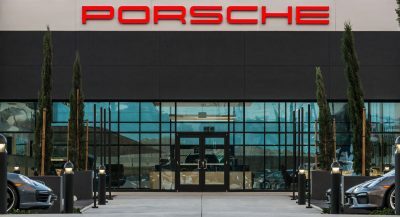 I wouldn’t buy a car from a company who did their own this dirty, their sure how heck wont care about me as a Person if I bought a product of theirs and it failed to work right. Rich ceo’s always think they are untouchable. . I dont care for the rich myself but this was a case of a company trying to regain control for their home market. BTW: 10kgs is actually 22lbs and not 44lbs. 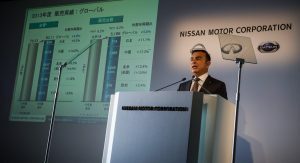 Japanese bid to keep Nissan as a Japanese company has succeeded so far. 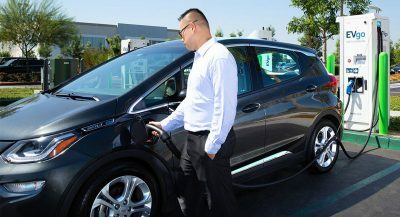 Ghosn doesn’t stand a chance. 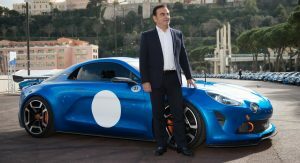 As long as Renault owns 47% of Nissan, the Japanese will never get away with it. All this has really done is put the already questionable Japanese legal system under more intense scrutiny. Not many true first world countries do what Japan is doing, there’s a reason why their criminal justice system’s conviction rate is 99%. I want you to really think about that for a second, a 99% conviction rate. That’s unheard of. Due process isn’t a thing in Japan, which is absolutely absurd. This whole case is a sham. I think it’s a disgrace to DETAIN any innocent person. And that’s exactly what Carlos Ghosn STILL is. Even if he has done what he has been accused of, he was treated unjustifiably. 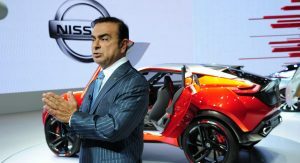 Perhaps Nissan CEO and board members should be detained at the same time as they have been colluding with Ghosn; This is necessary as they will conceal evidence too.